Administrative Law Judge (ALJ) Robert G. Martin, from the Office of Administrative Hearings (OAH), State of California, heard this matter on October 8, 9 and 10, 2013, in Los Angeles, California. Student’s mother (Mother) represented Student. Student’s father attended the hearing on October 8, 2013 and the afternoon of October 9, 2013. 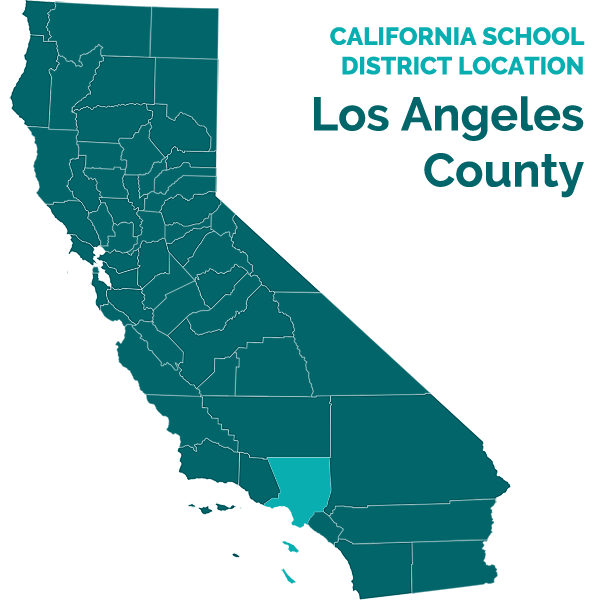 Attorney Diane Willis represented Los Angeles Unified School District (District). District Due Process Specialist Rudy Gutierrez attended the hearing on October 8 and 10, and District Due Process Specialist Binh Nguyen attended on October 9, 2013. Bernadette Buckley provided Spanish-English translation for Mother. Student filed his request for a due process hearing (Student’s complaint) on July 29, 2013. On September 6, 2013, District filed its request for a due process hearing (District’s complaint). On September 9, 2013, Student’s case and District’s case were consolidated, and hearing of the consolidated matters was continued to October 8, 2013. At the close of the hearing on October 10, 2013, the ALJ granted the parties’ request for a continuance to file written closing arguments by October 18, 2013. The record was closed and the matter was submitted on October 18, 2013 upon receipt of written closing arguments. 1. Did District deny Student a free appropriate public education (FAPE) in Student’s July 10, 2013 individualized education program (IEP) by failing to offer Student physical therapy (PT) services of appropriate duration and frequency? 2. Did District deny Student a FAPE in Student’s July 10, 2013 IEP by failing to offer Student occupational therapy (OT) services of appropriate duration and frequency? 3. Did District deny Student a FAPE in Student’s July 10, 2013 IEP by failing to offer Student one-on-one speech and language (LAS) services, or LAS services of appropriate duration and frequency? 1. Was the District’s May 30, 2013 LAS assessment properly conducted, such that the District has no duty to fund an Independent Educational Evaluation (IEE) at District’s expense? 1 Regional Centers operate under authority of the Lanterman Developmental Disabilities Act (Welf. & Inst. Code, § 4500 et seq. ), and provide daily living services and supports to persons with developmental disabilities. Under the Individuals with Disabilities Education Act (IDEA) (20 U.S.C. § 1400 et. seq. ), states can receive funding to provide IDEA part C “early start” services to enhance the development of infants and toddlers up to three years old who have disabilities. Regional Centers provide such services, but the “early start” services do not correspond to those required for provision of a FAPE to children older than three. 1. At the time of the hearing, Student was a three-year-old boy, residing within the District with his parents (Parents) and older sister. Parents’ primary language was Spanish, but both Spanish and English were spoken at home, and Parents preferred that Student receive instruction in English. Student attended a Preschool Mixed Special Day Program (PSM) for two and one-half hours per day, four days per week, at District’s Wilshire Crest Elementary School, with home-to-school transportation and extended school year services (ESY). Student had medical diagnoses of epilepsy and microcephaly, and was eligible for special education under the category of intellectual disability (ID). 2. In September 2011, when Student was 14 months old, his parents took him to the Lanterman Regional Center in Los Angeles (Regional Center) for evaluation, and he was found to have a developmental delay. 1 In January 2012, when Student was 18 months old, he suffered a series of 60 to 80 seizures and was hospitalized for one week. He responded well to anti-seizure medications and has experienced no seizures since January 2012. 3. In August 2012, as a Regional Center “early start” service, Student began receiving hour-long one-on-one LAS therapy twice weekly in a clinic at Intercare Therapy (Intercare). Mother attended all sessions. Intercare developed LAS goals for Student that included having Student: (1) perform for social attention by clapping and “dancing”; (2) point to a desired object; (3) wave “hi” and “bye”; (4) point to or show an object when named; (5) point to his shoes; (6) demonstrate functional use of toys; (7) throw a ball back when rolled to him; (8) follow simple directions such as “stand up,” “sit down” and “give me”; (9) recognize family member names; (10) give one object from a field of two when asked; (11) identify one body part per month; (12) understand a new word weekly; (13) imitate reduplicated syllables such as “wow wow” and “beep beep”; (14) name “Mama” and “Papa”; (15) combine vocalization with gesture to indicate desired objects and food; and (16) use signs to indicate “more”, “sleep”, “go”, and “eat”. 4. Intercare’s July 5, 2013 Speech and Language Progress Report for Student for the period November 1, 2012 through July 5, 2013 (Intercare LAS report) summarized the progress Student made towards his specific goals in eight months of one-on-one speech and language therapy. The report concluded that Student made “great progress” towards goal (3) (Student waved “hi” and “bye” after initiation from the therapist or Mother) and “good progress” towards goal (15) (made sounds for desired objects and food, if prompted by the therapist, and began to make vowel and final consonant sounds with maximum visual and verbal cueing). Student made “steady progress” towards goals (2) (pointed to one of two or three highly preferred items close at hand, with moderate visual cueing, but did not point if the object was beyond reaching distance or if other competing objects were in the room), (4) (retrieved or pointed to a named common object with 60-70 percent accuracy if the object was within reach and no more than two or three objects were present), (7) (participated for several throws, but lost interest quickly) and (13) (repeated common transportation sounds and animal sounds after prompting, but had difficulty making sounds in general). Student made moderate progress towards goals (1) (clapped with moderate verbal cues), (5) (required visual cues to point to his shoes, and did so inconsistently), (6) (put larger puzzles together with minimal help, but had difficulty with fine and gross motor movements), (8) (often completed a simple direction, but lost interest quickly and required moderate cuing every other time a simple direction was given), (9) (recognized a photograph of either parent, three out of four times when given photographs of two persons and moderate cueing, but lost interest quickly), (10) (recognized common food items and common animals, three out of four times, when given moderate cueing), (11) (identified eyes, nose, or mouth with moderate visual cueing), (14) (made “ma” sound and, with maximal cueing, said “mama” and “pa” sound, but inconsistently), and (16) (signed for “more,” “give me” and “all done,” and vocalized for “more,” but often signed for “more” when not meaning to communicate “more”). Student made minimal progress towards goal (12) (understood words or phrases for some daily activities such as, “brush teeth” and “put shoes on,” but did not learn other words not associated with toys or tactile items he could touch). 5. Turning from specific goals to more general observations, the Intercare LAS report concluded that Student’s progress in his speech and language skills was scattered, ranging from minimal to significant. With respect to speech production, Student made significant progress in his ability to produce varied consonant sounds. His speech production was dysarthric-like (like that of individuals with neurological damage causing the muscles of the mouth, face and respiratory system to weaken or move slowly), and was characterized by short, breathy sounds, omission of many vocalic sounds, and difficulty with the breath support required to sustain phonation for longer strings of speech production. However, Student produced the isolated sounds “b”, “h”, “k”, “t”, “d”, “f”, “m” and “s” with modeling by his therapist of the desired sound, and had begun to produce targeted and purposeful short vowel sounds. Student imitated the sounds “ah,” “oh,” “eh,” “ih” and “uh” with moderate cueing and reinforcers. Student also used initial sounds to request specific actions with minimal verbal cueing. For example, Student produced “h” then “f” for “high-five” to request action from his therapist. When placed in a swing, he made an approximation for “set go” prior to being pushed. When presented with a ball or bubbles, Student vocalized the sound “b”. Regarding Student’s use of signs and gestures, Student used signs for “give me”, “more”, and “all done” with minimal to moderate verbal and visual cueing. This was significant progress compared to August through October 2012, when Student needed maximum hand-over-hand cueing to complete those signs. Student was able to shake his head “no” to answer a question and to approximate “yes” (“ess”) with moderate verbal cueing and prompting. In regards to his oral motor development, Student made moderate gains. He improved in the area of jaw stability, biting up and down to break off his food rather than grinding or pulling as he had previously, and chewing and swallowing rather than spitting out or pocketing the food as he had previously done. Regarding his receptive language skills, Student made minimal gains in his ability to show an understanding of common items, actions, and requests unless they were part of his daily routine. When asked to identify objects, he continued to be inconsistent in his responses. The same was true when Student was asked to complete a task with an object when more than one option was available (give the ball to mom, when mom and clinician were both in front of him). When there was only one option (put the duck on the pond) Student completed the task correctly with 70 to 80 percent accuracy. 6. The Intercare LAS report recommended that Student continue to receive one-on-one speech and language services to work on the areas of expressive and receptive language twice weekly in an individual setting. Student had made scattered progress ranging from minimal to significant in an individual setting and his therapist believed that he would continue to make progress in LAS if provided with continued one-on-one service. The report recommended that Student’s goals should be reassessed and limited to no more than four long term goals, and attainable, quantifiable, short-term objectives. 7. Beginning in March 2013, in addition to providing Student LAS therapy through Intercare, the Regional Center funded Student’s attendance at nursery school three days per week for three hours per day, in an early intervention program offered by pediatric therapy provider Therapy West. At Therapy West, in addition to group-based intervention approaches by Student’s teachers, Student received 180 minutes per week of related services, consisting of one hour of one-on-one PT twice weekly, and one hour of one-on-one OT once each week. Therapy West developed six goals for Student in March 2013, including OT goals of: (1) remaining seated and participating during circle and table time and (2) spoon feeding himself; LAS goals of: (3) following simple one-step commands and (4) signing or saying five to ten words; and PT goals of: (5) walking 14 feet without upper extremity support and (6) accessing a toddler climbing structure with slide with minimal assistance. 8. Therapy West’s discharge report dated July 9, 2013 was prepared in conjunction with Student’s exit from the Therapy West program at age three. It indicated that Student partially achieved five of the above six goals: (1) (Student showed increased task attention for five to six minutes and transitioned with ease away from preferred objects and toys), (2) (used a spoon to feed himself with moderate physical assistance, but was unable to scoop food onto the spoon independently or to consistently grasp the spoon), (4) was able to sign “give me”), (5) (was able to take three to five steps independently, without upper extremity support but still sought support from walls or other people) and (6) climbed onto a toddler climbing structure with minimal to moderate assistance three out of four times). Student did not make progress towards his receptive language goal (3) (Student required maximal visual, verbal and tactile assistance to follow a simple one-step command such as “clean up” or “take shoes off”). Therapy West strongly recommended that Student continue to receive individualized and group LAS therapy, individual OT, and individual PT, but did not specify a recommended frequency or duration for such services. 9. On May 16, 2013, when Student was two years, 10 months old, Therapy West evaluated him using the Bayley Scales of Infant and Toddler Development, Third Edition, to Student. Student received a scaled score of one, in the cognitive subtest, corresponding to a percentile rank of 0.1 compared to children his age, and an approximate developmental age equivalent of 13 months. Student’s approximate percentile ranks/developmental age equivalents in other areas were receptive language: 0.2/11 months, expressive language: 0.2/11 months, fine motor skills: <0.1/12 months, and gross motor skills: <0.1/13 months. These findings were corroborated by other, later tests that are discussed below. 10. In February 2013, Regional Center referred Student to District for an initial evaluation as part of Student’s transition at age three from Regional Center’s Early Start services to educational services provided by the District. The District developed a proposed assessment plan for the District’s initial evaluation of Student’s eligibility for placement and services under the IDEA. The proposed assessment plan called for Student to be assessed in the areas of health and development, general ability, academic performance, language function, motor abilities, social-emotional status, and self-help. The District provided Parents the proposed assessment plan for Student in Parents’ native Spanish and a Spanish-language copy of District’s publication, A Parent’s Guide To Special Education Services (Including Procedural Rights and Safeguards). Mother signed and returned the assessment plan on February 7, 2013. 11. On May 30, 2013, Parents brought Student to District’s Queen Ann Elementary School for special education assessment by District personnel. Parent’s concerns regarding Student included global developmental delays, including delays in Student’s language development, gross and fine motor development, and self-help skills. Areas of suspected disability were ID, other health impairment (OHI), and multiple disabilities-orthopedic (MDO). 12. District personnel conducted five assessments on May 30, 2013: a PT assessment, an OT assessment, a LAS assessment, a psycho-educational assessment, and an APE assessment. Each assessor prepared a report and recommendations that were presented and discussed at Student’s IEP meeting held on July 10, 2013. 13. District’s PT assessment of Student was conducted by Grant Hirahara. Mr. Hirahara has been a California-licensed physical therapist since 1987. He received a bachelor of arts degree in psychology from the University of Southern California in 1980, and a bachelor of science degree in health sciences, physical therapy option, from California State University, Northridge, in 1986. Mr. Hirahara had 24 years’ experience in the field of PT, including 15 years’ experience with the District, assessing and treating children. Mr. Hirahara had four years’ experience as a member of District’s preschool assessment teams, during which time he assessed from 90 to 140 preschool children each year. One-quarter to one-third of the preschool children assessed by Mr. Hirahara were eligible for special education based on ID, and approximately 20 of them had a medical diagnosis of epilepsy. 14. Mr. Hirahara utilized the Educational Framework for Child Success (EFCS) as a guide for his assessment. This educational model takes into account the curriculum, educational environment, and student’s abilities to determine current levels of performance. This model is based on the Guidelines for Occupational Therapy and Physical Therapy in California Public Schools (1996). Guided by the EFCS, Mr. Hirahara interviewed Mother, and observed Student in a classroom as well as on the school playground to assess Student in 16 areas, including: infantile reflexes potentially influencing current function; muscle tone; coordination; protective extension; protective stepping; righting reactions/equilibrium reactions; balance; motor planning; postural and structural alignment; passive range of motion; active range of motion; strength; endurance; ambulation skills; running skills; and gross motor skills. 15. Mr. Hirahara prepared a written assessment report dated June 10, 2013, containing his findings and recommendations. Mr. Hirahara found that Student’s infantile reflexes were fully integrated, meaning that they had appropriately tapered off as Student aged and did not inhibit Student’s gross motor skills and mobility. Student’s muscle tone was low throughout his body. Student had difficulty coordinating his body movements due to his low muscle tone and hyperlaxity (extreme looseness) of his leg joints and spine. Student did not consistently protect himself in a fall by protectively extending his arms or legs. Student demonstrated reflexive righting reactions to maintain equilibrium when tipped off-balance in a chair. Student’s ability to maintain his balance when seated was fair, but his standing balance was impaired – Student could not stand on one foot and periodically lost his balance while walking. Student was unable to figure out how to complete an unfamiliar motor task. Student’s posture was functional. All of Student’s lower joints were extremely loose, including his ankles, which allowed his foot to flex upward toward his shin at angles up to 50 degrees, his knees, which allowed 90 degrees of rotation, and his hips, which allowed 120 degrees of rotation. Student’s active range of motion was within functional limits. Student’s strength was impaired, and he was unable to jump or stand on one foot to kick a ball. Student demonstrated adequate endurance for a preschool program, but expended more energy than normal to compensate for the laxity of his joints. Student was able to walk distances of up to 150 feet over linoleum, carpet, concrete or padded surfaces, but would occasionally lose his balance and fall down. Student was unable to run, but could walk fast enough to be functional for school activities. Student was unable to step to the right, left, or backwards, and his gross motor skills were impaired to a degree that affected his ability to function in the school environment. 16. Mr. Hirahara concluded that Student’s seizure disorder, poor muscle tone, loose joints, and decreased walking balance put Student at risk of falling, and therefore, Student required PT to assist him to benefit from his specially designed instruction. 17. District APE Specialist Gerardo Duarte assessed Student using the Adapted Physical Preschool Motor Assessment, which tested motor performance in four major areas: balance, locomotor, gross motor and fine motor. The assessment showed that Student had, among other things, weaknesses in his locomotor skills, demonstrated by his difficulty in maintaining his balance, and in object control, demonstrated by his difficulty in catching a ball. 18. District’s OT assessment of Student was conducted by Rachel Harryman. Ms. Harryman was licensed in California as an occupational therapist in 2003 or 2004, after receiving a bachelor of science degree in occupational therapy from Spalding University in Louisville, Kentucky in 2001. Ms. Harryman had 12 years’ experience as a full-time school occupational therapist, working with children from birth to three years of age. Ms. Harryman primarily assessed three-year olds referred to the District by Regional Centers, assessing 200 to 400 children per year, including 10 to 20 intellectually disabled children annually. 19. Ms. Harryman utilized the EFCS as a guide for her assessment. Ms. Harryman reviewed Student’s records, interviewed Mother, and observed Student in a classroom and on the school playground. 20. Ms. Harryman attempted to administer the Miller Function and Participation Scales, a standardized test, but Student was unable to follow directions, and the test was dropped. Ms. Harryman then utilized the Hawaii Early Learning Profile (HELP) to elicit information. Ms. Harryman evaluated Student’s skills used for academic performance in the areas of: (1) seating, positioning, and performance of physical activities; (2) visual skills; (3) manipulation and management of classroom materials; (4) sensory and motor skills for writing; (5) self-care during school day; (6) sensory and motor skills for activities; (7) social participation; and (8) analysis of sensory systems (tactile, vestibular, proprioceptive). 21. Ms. Harryman found that in the area of seating, positioning and performance of physical activities, Student was able to move in and out of various positions needed for preschool, including sitting in a chair at a desk, getting in and out of a chair, sitting on the floor, and had functional strength to manipulate some school tools. In visual skills, Student made some eye contact and was able to visually track objects. Student could not stack blocks or place simple forms in a form board. Sensory and motor skills for emergent writing showed that Student did not understand the purpose of a crayon/markers and paper. He did not attempt to make marks on a paper with ink or markers, and preferred to roll writing instruments on the table, behavior which is developmentally less than the 12-month level. In the area of self-care he was able to finger feed, but did not use utensils, with his behavior falling in the nine to twelve-month developmental age. Sensory and motor skills for participation at school were at a low level for material manipulation because Student put objects in his mouth or threw them, which was consistent with his global development level. Student accessed playground equipment successfully with adult assistance. In the area of social participation, during the assessment he made some eye contact with assessors, waved hello and goodbye, and reportedly hit others at times. Student’s sensory systems (tactile, vestibular, and proprioceptive) were commensurate with his overall global development of 12 months. Student did not have sensory factors that would interfere with his accessing the preschool educational environment. 22. In her May 30, 2013, OT assessment report, Ms. Harryman summarized Student’s areas of need as being low muscle tone and inability to use a pincer or radial-digital grasp to pick up and hold small objects, a skill usually acquired at seven to nine months of age. She also noted that Student did not attempt to connect interlocking pegs or insert them in holes on pegboard, did not actively explore toys, although he was able to use his hands to interact with objects of interest at current level of understanding and exploration which was at the six to seven month level, with some scattered skills at the 12 month level. This was consistent with Student’s overall global developmental delays and adaptive functioning skills measured by the District’s school psychologist. 23. District’s psycho-educational assessment of Student was conducted by Negar Zivari. Ms. Zivari is a credentialed school psychologist with eleven years’ experience conducting psycho-educational assessments of preschool children. Ms. Zivari received a bachelor of arts degree in psychology from University of California, Los Angeles in 1998, and a master of arts degree in school psychology and a pupil personnel credential from California State University, Northridge in 2001. She has conducted over 1,000 psycho-educational assessments, 150 to 200 of which involved children with intellectual disability. To assess Student, Ms. Zivari interviewed Mother and Student’s teacher at Therapy West. Ms. Zivari also observed Student, and administered several standardized and non-standardized tests. Ms. Zivari’s assessments and findings are detailed in her psycho-educational assessment dated May 30, 2013. 24. To assess Student’s cognitive abilities (overall potential to learn), Ms. Zivari used the Mullen Scales of Early Learning (Mullen) and Developmental Activities Screening Inventories-II (DASI-II). Ms. Zivari tested Student at age two years and 10 months. The Mullen consists of two verbal sections of Receptive and Expressive Language and two non-verbal sections of Fine Motor and Visual Reception. Student’s scores on the Mullen’s subtests were all “well below average” indicating a developmental age of seven to fourteen months: Expressive Language (seven months), Receptive Language (11 months), Fine Motor (12 months), Visual Reception (14 months). The DASI-II is primarily non-verbal and does not require use of expressive language. On the DASI-II Student obtained a developmental age of 13 months. 25. Student was not able to imitate a scribble, build a tower of two blocks, place a circle in foam board, squeeze a toy, match four pairs of objects, or demonstrate use of six objects. Overall cognitive skills were delayed and well below average. Ms. Zivari concluded Student’s global cognitive delays would negatively impact his ability to learn and access a preschool curriculum. 26. Ms. Zivari assessed Student’s academic/school readiness skills using the Preschool Team Assessment III (PTA-III), a non-standardized District measure. Results indicated significant delays commensurate with his overall cognitive abilities of 12 months. Student recognized his name when called, but he could not answer any personal data such as name, age, or gender in Spanish or English. He was not able to identify any body parts by pointing to them, he was not able to match, name, or point to colors, and was not able to rote count, in English or Spanish. 27. To assess Student’s social-emotional development, including Student’s ability to transition to new environments and accept change, ability and willingness to follow directions, his interest in play and social interactions, use of toys, and overall attention span and activity level, Ms. Zivari observed Student and interviewed Parents and Student’s teacher from Therapy West. Student’s teacher reported that Student cried and had difficulty participating in structured activities when he started the Therapy West program, but had made significant improvements and currently transitioned and participated in structured activities with teacher assistance. Parents reported that they had no concerns about Student’s behavior at home, and indicated that Student was affectionate, generally happy and easy-going, often responded to a smile with a smile, enjoyed playing next to other children, had good eye contact, responded to his name when called, and enjoyed playing with cause and effect toys and balls. Observing Student in a preschool assessment room, Ms. Zivari noted that Student responded to his name, smiled and made eye contact. Student transitioned without difficulty and enjoyed exploring the room, but walked with an unsteady gait. He did not engage in functional or pretend play, or use any words to communicate wants or needs. He participated in assessment activities but frequently had to be physically redirected to the assessment activity. Student tried to imitate Parents’ facial expressions. Student showed interest in similar-aged children, but had difficulty engaging in cooperative play. Ms. Zivari concluded that Student’s overall social functioning was consistent with his cognitive functioning. 28. Ms. Zivari assessed Student’s adaptive functioning skills using the Vineland Adaptive Behavior Scales – Second Edition, which was completed through an interview with Parent. The test results were standardized scores interpreted as follows: above 130 (very superior), 120-129 (superior), 110-119 (high average), 90-109 (average), 80-89 (low average), 70-79 (low average), below 70 (well below average). Student’s standardized test scores on the four areas measured well below average, ranging from 56 to 68: Communication (score = 59), Daily Living Skills (56), Socialization (68), and Motor Skills 64). 29. District’s LAS assessment of Student was conducted by Phyllis Ross. Ms. Ross was licensed in California in 1970 as a speech and language pathologist, and had over 42 years’ experience. Ms. Ross utilized a variety of tools to assess Student’s expressive and receptive language developmental levels. Ms. Ross reviewed documentation of Student’s health and development, including a report from Intercare dated October 31, 2012. Ms. Ross interviewed Mother and Student’s Intercare LAS therapist, but did not interview Student’s teacher at Therapy West. Ms. Ross also observed Student, and administered the Rosetti Infant Toddler Language Scale (Rosetti), a standardized test validated for measuring language comprehension and language expression. Ms. Ross determined that the primary language in Student’s home was Spanish, and so administered tests and procedures in English and Spanish with the help of a translator. 30. Ms. Ross’ assessments and findings are detailed in her language and speech assessment report dated May 30, 2013. Ms. Ross could not assess Student’s articulation skills because Student was non-verbal. However, she noted that Student had low oral-motor muscle tone, and was unable to extend his tongue, use a straw, or chew his food. She therefore recommended that Student’s articulation skills should be monitored as his language skills improved. 31. When administering the Rosetti to assess Student’s language comprehension (receptive language) and expression (expressive language), Ms. Ross followed the test publisher’s instructions. Ms. Ross obtained most of her responses to the test from her interview of Mother and Student’s Intercare LAS therapist because Student was non-verbal and unable to provide responses. Mother reported that Student could say phonemes “t,” “p,” “b,” “s,” and “m,” in isolation with cues. His Intercare LAS therapist reported that Student had learned to sign for “more” and “all done” when given cues, give a “high five” without cues, and produce the sound “b” with cues when presented with bubbles. Voice was not an area of disability based on Ms. Ross’ observations. Ms. Ross found that fluency was not a related area of disability because Student was non-verbal. 32. Student achieved scattered Rosetti assessment scores in language comprehension corresponding to approximate developmental ages of six to nine months and nine to twelve months. At the six to nine-month level, Student was able to: respond to an adult’s gestures asking him to approach; maintain attention to speaker; respond to sounds when source not visible; stop when his name was called; attend to pictures; and wave in response to “bye-bye.” Student had difficulty recognizing family members’ names, attending to music or singing. At the nine to twelve-month level, Student was able to give objects on request, look at a person saying his name, perform a routine activity on request, look at familiar objects, attend to objects he could see, and follow simple commands occasionally. Student had difficulty gesturing in response to verbal requests, verbalizing or vocalizing in response to verbal questions, and identifying body parts. Student’s language expression tested at the six to nine-month level. Student was able to vocalize two-syllable combinations, vocalize displeasure, sound play when alone, attempt to interact with adults, babble, laugh, imitate duplicated syllables, and imitate consonant and vowel combinations. 33. Ms. Ross concluded that Student did not demonstrate a need for LAS services, and recommended that he receive none. Ms. Ross did not recommend LAS services because: (1) Student’s cognitive level as determined by Ms. Zivari’s psycho-educational assessment was too low for him to engage in speech services; (2) there was no significant discrepancy to be corrected between Student’s cognitive development and his language skills; and (3) because she believed that Student could best develop his language in a group setting in a language enriched classroom where he would learn by modeling his peers’ use of language. 34. Student’s initial IEP meeting was held on July 10, 2013. Parents, PT assessor Grant Hirahara, and APE assessor Gerardo Duarte attended; Student’s psycho-educational, OT and LAS assessors did not. School psychologist Annie Kwan substituted for Ms. Zivari, occupational therapist Kevin Gray substituted for Ms. Harryman, and speech and language therapist Christie Harris substituted for Ms. Ross. Regional Center representative Jose Ceja also attended. 35. Annie Kwan presented Ms. Zivari’s psycho-educational assessment. In her assessment, Ms. Zivari concluded that, because Student was functioning at approximately a 12 month-old level, Student met the eligibility criteria for ID, which is “a student who has significantly below average general intellectual functioning existing concurrently with deficits in adaptive behavior and manifested during the developmental period, which adversely affects a pupil’s educational performance.” Ms. Zivari noted that, due to his history of seizures and his global motor delays, Student might also be eligible for special education under OHI or MDO. 36. Based on Student’s psycho-educational assessment, and the PT, OT, APE and LAS assessments discussed immediately below, the IEP team decided that Student was eligible for special education and related services under the category ID. Student was offered placement in a PSM special day class at Wilshire Crest Elementary School for the school year, ESY, instructional accommodations, and home-to-school transportation. Student was also offered related services of PT, OT, APE, and LAS. 37. Mr. Hirahara presented his PT assessment. He recommended that Student’s IEP include a physical access goal of improving Student’s dynamic balance so that he could access all areas of his educational environment (inside and outside on the playground and general campus) with moderate challenge without loss of balance and falling. To achieve this goal, he recommended that Student receive one 30-minute session of one-on-one PT per week during the 2013-2014 school year and one 20-minute session of one-on-one PT per week during ESY, to be provided outside the classroom by a licensed physical therapist. The IEP team adopted and offered Student these proposed PT goals and services. At hearing, Mr. Hirahara testified persuasively that, based on his experience and assessment of Student, this frequency, duration and type of PT services would be sufficient to assist Student strengthening his muscles and improving his balance to achieve the stated goal. 38. Kevin Gray presented Ms. Harryman’s OT assessment and recommendations. Prior to the IEP, Ms. Harryman had uploaded a draft goal and recommended services into the District’s IEP computer data base. To improve Student’s fine motor skills, she proposed as a fine motor goal that Student learn to use a radial-digital grasp to pick up and place small toys or objects such as pegs, coins, or craft materials. She recommended that Student receive one 30-minute session per week of direct, collaborative (group) OT services during the 2013-2014 school year and ESY to achieve this goal. The IEP team adopted and offered Student these proposed OT goals and services. At hearing, Ms. Harryman explained that her proposed fine motor goal would work on a fundamental skill that Student needed to develop before he could work on other fine motor skills, such as holding a utensil. She testified persuasively that, based on her experience and assessment of Student, the offered frequency, duration and type of OT services would be sufficient to assist Student in improving his fine motor skills to achieve the stated goal. 39. Gerardo Duarte presented his APE assessment. To help address Student’s issues with balance and object control, he proposed as APE goals that Student learn to jump off the floor with both feet elevated, and trap an eight inch ball bounced from five feet. To achieve these goals, Mr. Duarte proposed that Student receive 20 minutes per week of one-on-one APE services during the school year. The IEP team adopted and offered Student these proposed APE goals and services. 40. District speech and language therapist Christie Harris presented Ms. Ross’ LAS assessment. Ms. Harris held a bachelor of arts degree in speech disorders from Pacific University (1974), a master’s equivalency degree in communicative disorders from Western Washington State University (1976), and a special education teaching credential for speech and hearing therapy. Ms. Harris had 37 years’ experience as a speech and language therapist for the District, and nine years’ experience as a preschool LAS assessor for the District, during which time she conducted LAS assessments on approximately 150 preschool children per year, of whom approximately 25 per year were eligible for special education under the category ID. 41. Reviewing Ms. Ross’ LAS assessment report, Ms. Harris disagreed with its conclusion that Student should not receive any LAS services. As an expressive language goal for Student, to work on foundational skills for developing communication, Ms. Harris proposed that he learn to use single words, approximations, or alternate communication systems to express wants and needs. She recommended to the IEP team that Student receive two 30-minute sessions per week of direct, collaborative LAS services during the school year and ESY to be provided by a licensed/credentialed provider or a special education teacher. The IEP team adopted and offered Student these proposed LAS goals and services. At hearing, Ms. Harris explained that under the collaborative model of LAS service delivery that she proposed, the speech and language therapist would work directly with Student in a group and could also provide more individualized services to Student according to his needs. She testified that, based on her experience and assessment of Student, the offered frequency, duration and type of LAS services would be sufficient to assist Student in improving his language skills to achieve his stated goals. Considered in conjunction with other evidence discussed below, her testimony was persuasive. 42. Parents did not provide the IEP team any additional information or assessments beyond that noted in District’s assessments. Parents agreed with the IEP’s offers of placement, ESY, instructional accommodations, and home-to-school transportation. Parents also agreed with Student’s proposed APE goals and the offer of APE services. Parents expressly agreed to Student’s proposed PT and OT goals at the IEP, and Mother stipulated at hearing that Student’s LAS goal was acceptable. Parents agreed that Student should receive one-on-one PT and OT. 43. Parents disagreed with the offered duration and frequency of Student’s PT and OT. Parents requested that the duration and frequency of Student’s PT and OT services match or exceed the one hour, twice-weekly PT, and one hour, once-weekly OT that he had been receiving as Regional Center services through Therapy West. Parents disagreed with the type, duration and frequency of LAS services offered, requesting that they match or exceed the one hour of one-on-one LAS therapy that Student had received twice-weekly at Intercare. Although they disagreed with the District’s offers of PT, OT and LAS services, they consented to implement the IEP as written, pending the outcome of a due process hearing request that they indicated they would initiate. 44. On July 25, 2013, Student filed the instant request for a due process hearing, which included Parents’ disagreement with Student’s LAS assessment and a request that District fund an IEE in speech and language. 45. Student’s speech and language therapist for the school year, District speech and language pathologist Jordan Gomez, worked with Student on his expressive language goal in a small group of four students in the classroom for 30 minutes per week, and in a more individualized setting with one other student for 30 minutes per week. Although Ms. Gomez worked with Student in a small group context, it was clear from her testimony that Student benefitted primarily from the one one-on-one instruction that Ms. Gomez was able to provide Student in the course of the group sessions. During his group sessions with Ms. Gomez, Student did not really interact with other children in his group. Ms. Gomez observed that after working “very intensely” with Student on a one-on-one basis, modeling for him how to make the “p” sound, Student learned to reliably produce that sound and at the time of hearing was moving on to other sounds like “m”. Ms. Gomez taught Student “p” and other bilabial consonant sounds such as “b” and “m” because they are the easiest sounds to learn because the person being taught can easily see the modeled position of the mouth and hear the sound produced. Learning these sounds was an intricate part of Student’s expressive language goal because it would enable Student to use word approximations to communicate. For instance, if Student wanted milk he would learn to say “m” and point to milk. Ms. Gomez explained that Student did not yet demonstrate an “intent to communicate” which a child typically develops at the age of seven to ten months. In Ms. Gomez’s opinion, Student was not ready for picture communication because he did not associate a picture with the object, a skill that is typically developed at 18 months. Ms. Gomez did not believe Student needed any additional LAS services because he was functioning at a level commensurate with his cognitive ability, and Ms. Gomez believed that his cognitive development needed to precede his speech and language development. 46. In support of Student’s contention that District denied Student a FAPE by failing to offer Student one-on-one LAS therapy of sufficient frequency and duration, Student presented the testimony and Initial Evaluation of licensed speech and language pathologist Norma Olvera of the Glendale Adventist Medical Center Play to Learn Center. Ms. Olvera had 28 years’ experience in pediatric speech and language issues. She conducted a detailed LAS evaluation of Student set forth in a written Initial Evaluation dated September 16, 2013. Ms. Olvera’s findings regarding Student’s developmental history, cognition and play skills, oral motor skills, and receptive and expressive language skills were similar to the findings of District’s assessors as set forth above. 47. Ms. Olvera concluded that Student would benefit from skilled individual LAS therapy to increase his receptive and expressive language skills using a total communication method (i.e., signs, pictures, verbal, and augmentative communication). Ms. Olvera recommended that Student receive 60 minutes of one-on-one individual LAS therapy twice a week on a trial basis for six months to determine whether Student’s LAS therapy should focus on teaching him how to communicate verbally or instead how to communicate using augmentative devices, signs, pictures, or other non-verbal methods. Ms. Olvera admitted that she had not concluded whether Student required individual LAS therapy to access his education. She offered no opinion concerning the adequacy of District’s LAS evaluation or LAS services provided to Student. 48. Student did not present evidence of the cost of Ms. Olvera’s LAS assessment of Student. 49. Student offered no expert testimony, documents, or other evidence concerning the adequacy of the duration or frequency of the PT or OT offered by District to Student. 1. As the petitioning party, Student has the burden of proof on Student’s three issues. (Schaffer v. Weast (2005) 546 U.S. 49, 56-62 [126 S.Ct. 528, 163 L.Ed.2d 387].) District has the burden of proof on District’s single issue. 2. Student contends that District’s July 10, 2013 IEP offer of one 30 minute session of one-on-one PT per week during the 2013-2014 school year and one 20 minute session of one-on-one PT per week during ESY, to be provided outside the classroom by a licensed physical therapist, failed to provide Student a FAPE because Student required greater duration and frequency of services to achieve his physical access goal. District contends that the offered duration and frequency of services is adequate to achieve Student’s agreed-upon PT goal and provides Student a FAPE. 9. Student contends that District’s July 10, 2013 IEP offer of one 30 minute session per week of direct, collaborative (group) OT services during the 2013-2014 school year and ESY failed to provide Student a FAPE because Student required greater duration and frequency of services to achieve his fine motor goal. District contends that the offered duration and frequency of services is adequate to achieve Student’s agreed-upon OT goal and provides Student a FAPE. 10. Legal conclusions 1 through 7 are incorporated here as though set forth in full. 12. Student contends that District’s July 10, 2013 IEP offer of two 30-minute sessions per week of direct, collaborative LAS services during the 2013-2014 school year and ESY, to be provided by a licensed/credentialed provider or a special education teacher, failed to provide Student a FAPE because Student required one-on-one LAS therapy of greater duration and frequency of services to achieve his expressive language goal of using single words, approximations, or alternate communication systems to express wants and needs. District contends that the offered duration and frequency of services is adequate and provides Student a FAPE. 13. Legal conclusions 1 through 7 are incorporated here as though set forth in full. 16. District contends that its May 30, 2013 LAS assessment was appropriate and properly conducted, and therefore, District is not required to provide Student an IEE at District expense, as requested by Student in Student’s complaint. 17. Legal conclusions 1 through 7 are incorporated here as though set forth in full. 2 All subsequent references to the Code of Federal Regulations are to the 2006 version. 1. All of Student’s requests for relief are denied. 2. District’s May 30, 2013 LAS assessment was appropriate, such that District need not provide Student an IEE at public expense in this area. Pursuant to California Education Code section 56507, subdivision (d), the hearing decision must indicate the extent to which each party has prevailed on each issue heard and decided. District prevailed on all issues presented.